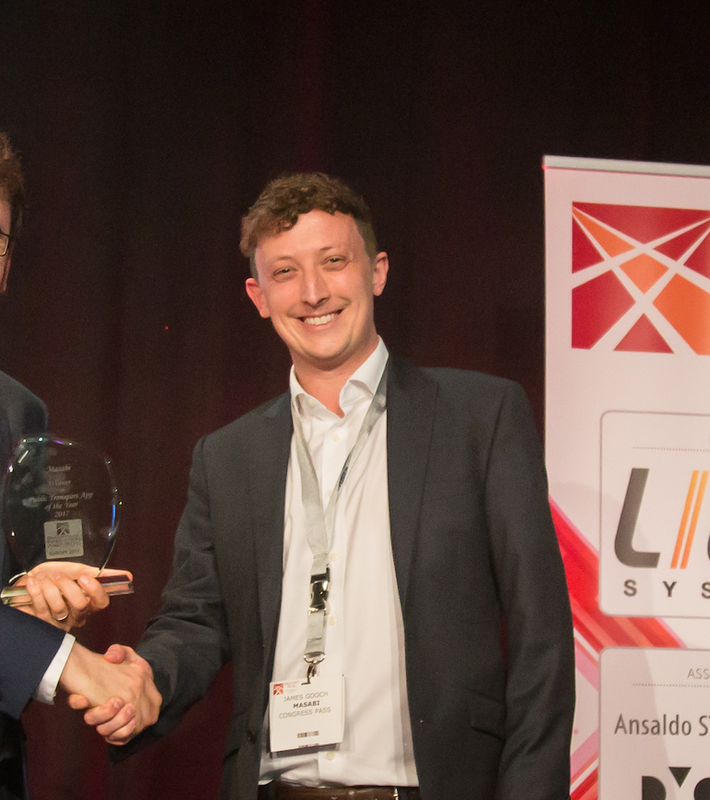 Masabi's JustRide has been recognised for its impact on sustainable mobility by winning a prestigious 2016 Smart City Industry Award in the hotly contested Mobility category. The selection of JustRide among an extremely strong group of finalists identifies it as one of the best transit solutions for Smart Cities available today. 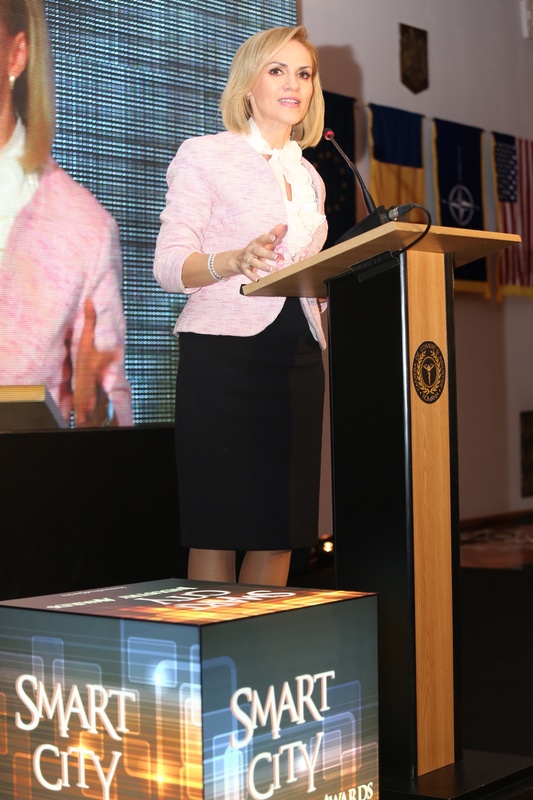 The awards were hosted in Bucharest at the Chamber of Commerce and addressed by Mrs. Firea Gabriela the City Mayor. The Smart City Mobility Award winner was chosen based on the quality of the idea, implementation of the idea, usability and improvement it has on mobility, and the environmental impact. The awards ceremony featured representatives from 20 cities in the region along with government officials, ambassadors, policymakers, financiers, IT solution providers and NGOs, all with one goal – to work together to develop and build a better future for citizens, creating more livable, viable and sustainable cities. 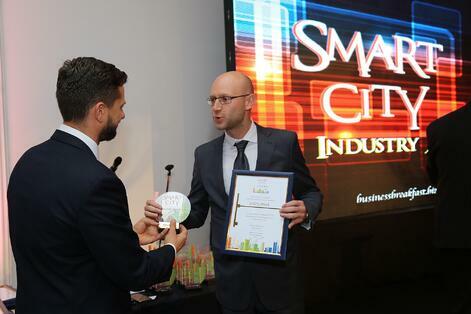 "I’m extremely pleased that JustRide has won this Smart City Award which recognises its impact in creating sustainable mobility,” said Masabi CEO Brian Zanghi. "We developed JustRide specifically to make moving around cities simpler for passengers, as well as creating a solution which has a positive impact for transport providers and the environment." Masabi's JustRide is the world's leading mobile ticketing platform. This year it went live with the New York MTA and LA Metrolink adding to 23 deployments around the world, including for; Transport for Athens, the MBTA in Boston, RTA in New Orleans and London’s Thames Clippers. JustRide is helping people move while saving transport providers money as the app replaces physical ticketing infrastructure which is costly to purchase and maintain, as well as being more environmentally friendly than physical ticketing options. For passengers, the JustRide app is focused on convenience by increasing the efficiency of public transport. The app eliminates the need to stand in line at ticket windows or vending machines to buy tickets or top up smartcards, and it allows recovery of purchased tickets if the rider's smartphone is lost or stolen.